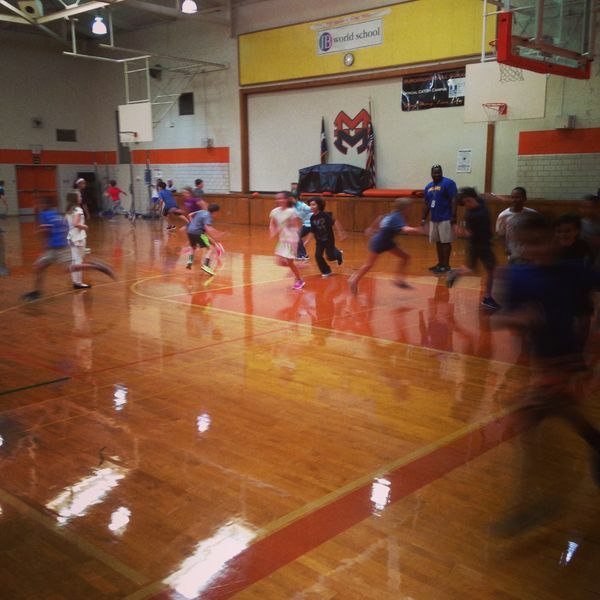 Sixth graders were burning off some energy right before lunch in the large gym. These kids are fast! The first day of school is always a special one, and this picture captures the positive energy that was representative of the whole day.